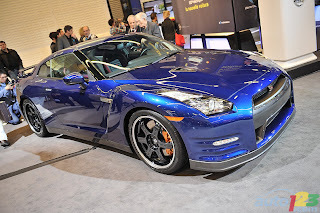 The information on the 2012 Nissan GT-R has started to flow in. 530 hp , 7:20 at the Nurburgring. Photos and videos when they are available. The offical word on the Nurburgring time is 7:24(wet), however Mizuno has said that he does not want the car to go under 7:20. With the current exchange rate of about 81 yen to a dollar, a premium would come in at $116,000 USD. We no longer have the base(pure) in the US. It is unlikely we will ever see a Spec V or Egoist in the US.